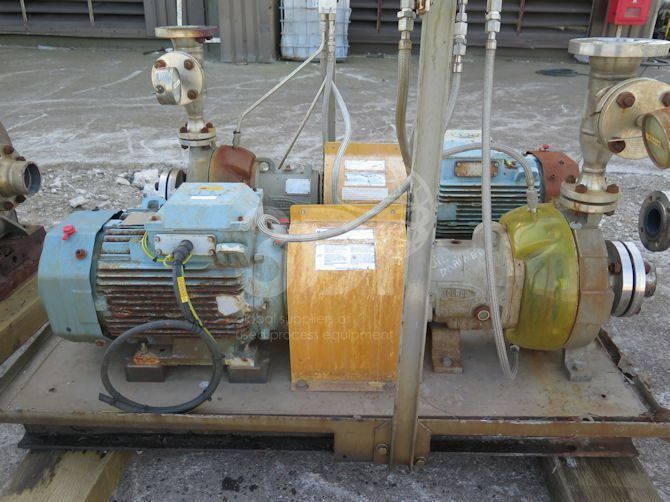 Used 23m3/hr Centrifugal Pump, manufactured by Durco (Flowserve), 2004, Model Mark III, Size 2K3X1.5-10A. Material of construction: 316 stainless steel. 18m head. AES Double mechanical seal, 1.875″. Fitted with a 15kw ABB electric motor. Previously used on chemicals.